*Palmera Vacation Club* enjoys a carefully collected portfolio of resorts that share the values of a gentle passion for life's finest experiences and the enjoyment of nature's most beautiful environments. Each year members receive points that become their own currency for investing in the vacations of their dreams. The length of your stay, your destination, accommodations, and the season of your vacation can be tailored by the way you use your Vacation Club Points. The freedom and flexibility you enjoy as a member extends to 4,000 resorts around the world, through our global exchange network. Your member points become the currency you can use every year to make your own selection practically anywhere. To discover more, please visit https://palmeravacationclub.com. 3,000 annual points! Points can be used anywhere in the Palmera Vacation Club! Buyer may receive a title fee credit, inquire for details! 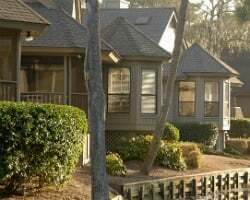 Gorgeous Location conveniently located in Hilton Head Island! 2,000 annual points fro exchanges! Buyer may receive title fee credit, inquire today!! Vacation anywhere in the Palmera Vacation Club with 2,000 annual points! Buyer may receive a title fee credit, inquire for details! Pick your vacation dates with 3,000 annual points! RTU in perpetuity! Buyer may receive a title fee credit, inquire for details! Vacation when and where you want with 3,000 annual points! Inquire for more details! Sale includes 5,000 annual points! Choose from a fantastic selection of resorts! Buyer may receive a title fee credit, inquire for details! Additional 3,000 banked points! Enjoy 6,000 total points available for immediate use! Buyer may receive a title fee credit, inquire for details! 6,000 annual points! 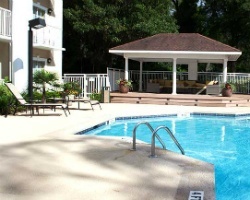 Points can be used anywhere in the Palmera Vacation Club! Buyer may receive a title fee credit, inquire for details! Price Negotiable! Seller has 2,000 available points for the year 2017! RTU in perpetuity! Highly motivated seller! Price Negotiable! Bring Offer!! 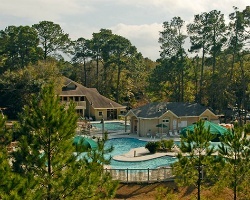 Use points anywhere in the Palmera Vacation Club! Sale will include a total of 6,000 points for 2019! Buyer may receive a title fee credit! Flexible vacation membership with many locations to choose from! 3,000 annual points! Buyer may receive a title fee credit, inquire for details! 6,000 annual points! Points can be used anywhere in the Palmera Vacation Club network! Inquire for details! Sale includes an additional 8,000 bonus points! Buyer may receive a title fee credit, inquire for details! Pick your vacation dates with 2,000 annual points! Buyer may receive a title fee credit, inquire for details! Vacation when you want with 4,000 annual points! Buyer may receive a title fee credit, inquire for details!! Pick your vacation dates and location with 3,000 annual points! Buyer may receive a title fee credit, inquire for details! 2,000 annual points! Points can be used anywhere in the Palmera Vacation Club! Buyer may receive a title fee credit, inquire for details! 6,200 annual points can be used to vacation when and where you want! Buyer may receive a title fee credit, inquire for details! Pick your vacation dates with 9,800 annual points! Buyer may receive a title fee credit, inquire for details! Vacation anywhere in the Palmera Vacation Club with 6,050 annual points! Buyer may receive a title fee credit, inquire for details! Customize your vacation with 6,000 annual pts! Choose from 4,000 resorts around the world! Buyer may receive a title fee credit, inquire for details! Motivated Seller. 2,000 annual points! 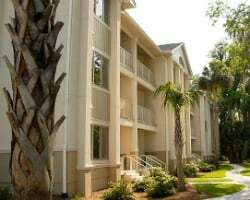 Points can be used anywhere in the Palmera Vacation Club network! Inquire for details! Sale includes 5,000 points per year! Thousands of resorts to choose from! Buyer may receive a title fee credit, inquire for details! Vacation when you want with 2,000 annual points! RTU in perpetuity! Highly motivated seller! Bring Offers!